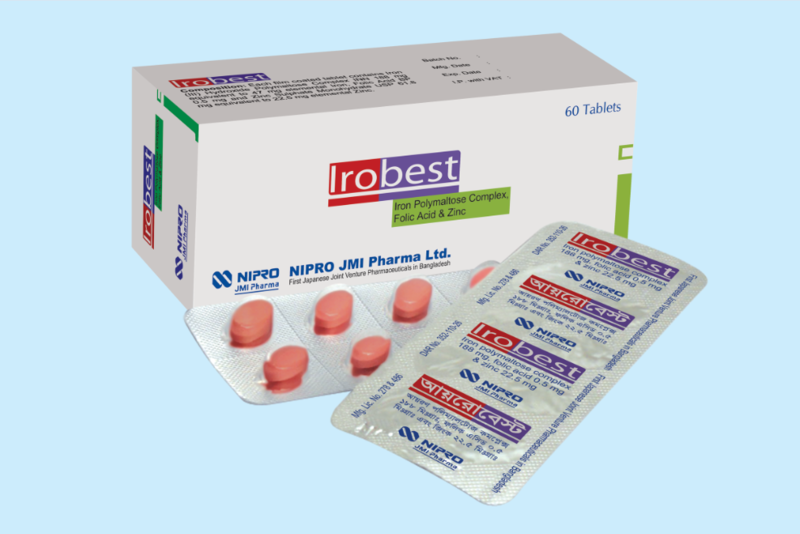 Irobest tablet is the preparation of iron, folic acid and zinc. In this preparation, iron is present as iron (III) hydroxide polymaltose complex, a noble iron preparation. It contains non-ionic ferric iron and polymaltose in a stable complex. This complex facilitates a controlled absorption of the iron when it comes in contact with the mucosal cell surface. Due to non-ionic nature, iron (III) hydroxide polymaltose complex is more stable than conventional iron form. Folic acid helps in the proper development of the fetus. Zinc keeps enzymes working and helps to metabolize proteins.